I love jazz, and that love goes back to the 1950's when I was first introduced to this music genre, a love affair that has lasted all these years. As a young kid just out of highschool, working as a copyrunner in the Vancouver Sun newsroom, I was often given free passes to show that were in town, namely these were jazz concerts held at an old auditorium down on Georgia Street (the Georgia Auditorium). One of the first concerts I attended with the Stan Kenton band but after that there was a steady array of musicians and artists from the States passing through. I got to see Sammy Davis Jr when he was still performing with his dad and uncle. But my favorites were the jazz musicians. I saw them all: Dave Brubeck, Dizzy Gillespie, Thelonius Monk, Charley Parker...dozens of them, and thinking about it now I realize how privileged I was to have seen these great musicians. There were the drummers namely Shelly Mann (I can't remember if I got to see Gene Krupa before he got banned from crossing the border). I had a thing for drummers after that and even had a brief fling with one who played drums with a band at the Penthouse. 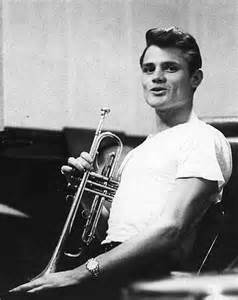 But the real revelation came the night Stan Getz, Gerry Mulligan and Chet Baker came to town on their first West Coast tour. 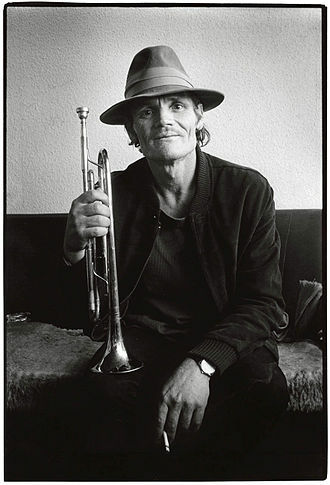 I totally fell in love with Chet Baker and to this day have most of his CDs. 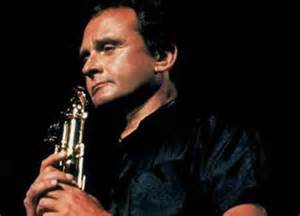 I also loved it when Stan Getz started to play Brazilian jazz and I have his CDs too. 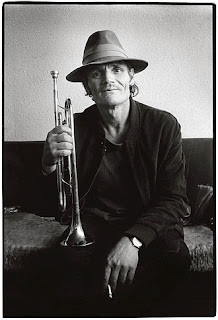 It was Chet Baker, though, who really influenced me and it was so tragic that such a talented man died in the way he did. Drugs were the downfall of so many. Today I went to Pat's Pub to hear an excellent afternoon of jazz with local musicians, Sharon Minimoto and her trio. They played so many of my old favorite tunes. And when the bass player sang Chet Baker's song "I Fall In Love Too Easily" I felt tears roll down my cheeks and it inspired me to write about those wonderful days back in the '50's when I used to attend all those jazz concerts.